If only SwolePT did a quick write up on their top 5 foods that have worked amazingly. Well, ahm... we did! We also included ways to incorporate them quickly and easily for a delicious diet. Sold in a package almost anywhere? Check. Works for sweet and savory dishes? Oh yes. Rich, creamy, and with twice the protein and half the carbs of regular yogurt, this is a delicious addition to your diet. Also includes probiotics, which, along with dairy, have been correlated with increased fat loss on a diet. You can have this for breakfast with oats, nuts and/or fruit. It also makes a great addition to desserts and thickener for sauces and soups. Get Fage, Olympus or any other good brand 2% Plain Greek Yogurt. Beware the Greek Style - we want the real deal! 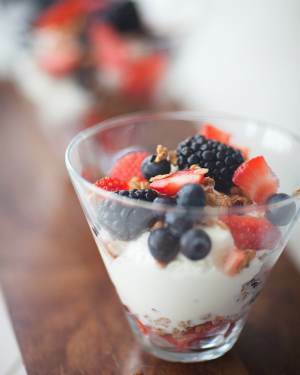 Add fruit like berries, peaches, apples and enjoy! For a change of texture, try Cottage Cheese or why not have both? Nuts are high in all kinds of vitamins and minerals - Almond is high in vitamin e, iron, and calcium while peanuts are the highest protein nut! 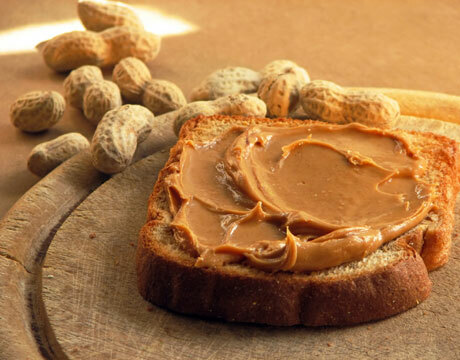 Nut butters are great because they are so quick and delicious. Add them to your protein shake. Have them with bananas. 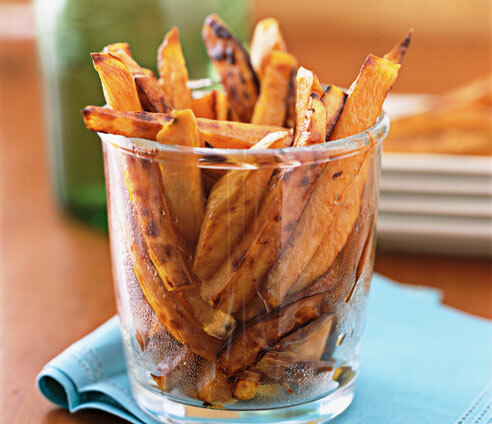 Use them as a dipping for your sweet potatoes. Drizzle over salads. The options are endless! Just avoid the peanut butter and jelly sandwich, try peanut butter and banana sandwiches instead. You can also mix in some greek yogurt or cottage cheese to beef up the protein content. The much villainized 'starches', are actually an innocent and delicious delicacy. Although sweet potatoes are often given high marks, regular potatoes are just as good. Boiled potatoes are one of the most filling foods you can eat - essential on a diet! And both are high in potassium - a mineral most people are deficient in. Wrap (sweet or regular) potato with papertowel and cook in microwave for ~4-7 minutes or until soft. Remove the skin, cut into slices and season with salt/pepper/chilli powder/whatever you like. Broil in the oven until crispy on the outside. Delicious, crispy potatoes in 10 minutes! Americans don't seem to like fruit much and I don't blame them considering the sorry state of produce at your average big chain grocer. 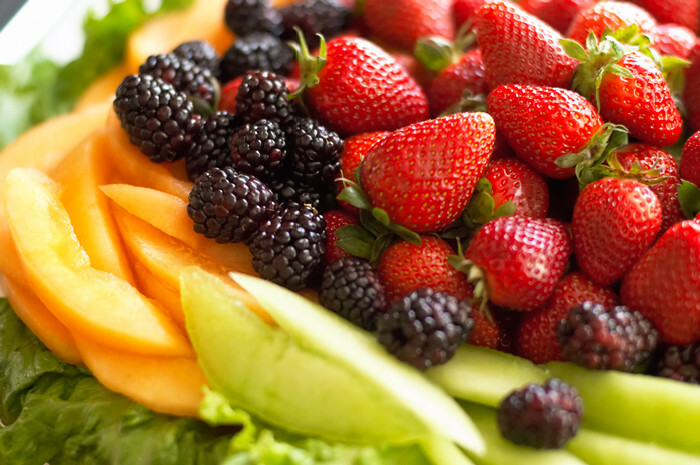 Fruit is actually awesome; good, fresh, organic fruit, that is. Why? Fruits are Nature's 100 calorie snackpack. They come pre-packaged and ready to eat at a moment's notice. Super nutritious, fruits contain all kinds of vitamins and minerals that are essential for optimal health and performance. No, your multi-vitamin isn't a viable alternative. Sugary… yet slow digesting. Fruits contain fructose which is a bit lower GI than sucrose but what really slows down the breakdown of the sugar is the fibre and starches that the sugars are intertwined in. So they'll hit that sweet spot when you need it, but they won't spike your blood sugar and make you feel like crap 10 minutes later. Versatile. Fruits in salads? Check. Sandwiches? 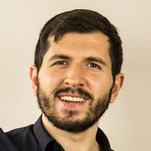 Si. Wraps? That too. Quick snack? Yup. Topping for a sweet dish? Aha. You know this list would have chicken. But just because you're eating chicken doesn't mean it has to be bland and boring. Chicken is great because it's cheap, versatile, and high in protein. What it's not known for is its fabulous taste - usually. So here's how to spice up your chicken. Season it! 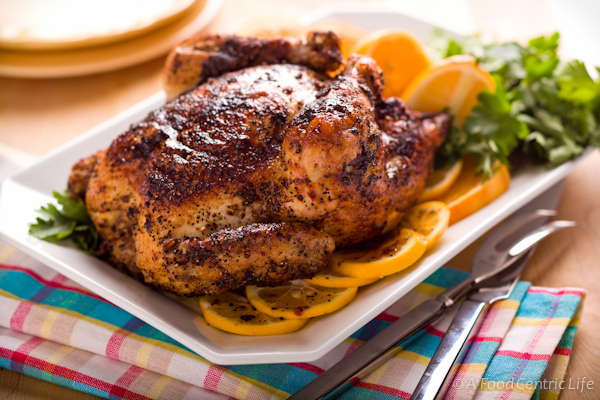 You're doing something wrong if your chicken meat isn't bronzed with delicious spices. Our current favorite: Chili powder. Add generously, throw in some salt/black pepper, a drizzle of olive oil and broil to perfection! Chicken is incredibly versatile though, so you can use anything from curry powder to shichimi to pesto. Just make it zesty. Broil it. Why are you eating cold, wet chicken breast when you can have spicy, crispy and hot chicken breast instead? The only ingredient necessary for this transformation is an oven on high broil. Throw that chicken in for couple of minutes and enjoy. Cook it whole. Chicken breast is great and easy but if you want the full aramada of flavor you have to cook the whole thing. A whole chicken cooked right is one of the tastiest and most succulent things you can have, and it quite nearly cooks itself. We could write a whole article about the topic, but someone else already did! This page is incredibly comprehensive and on point. It's actually way easier than it sounds, super cheap and is awesome for bulk cooking. What your chicken should look like. This really should be number 1. There isn't a day where we don't eat eggs. You just can't ask for a more perfect food. Cooks in seconds, good protein source, extremely nutritious, delicious, makes everything fluffier, I can go on and on. Omelettes are great because you can cook 2-3 meals in one go - if you have a big enough pan! It also is a great way to use left overs, it's hard to find something (in my fridge at least!) that isn't improved by being thrown in an omelette. The whole thing isn't rocket science either! Whisk eggs, cook in pan, toss some toppings on, eat! Maybe even try our delicious and healthy omelette recipe? Too much effort? Well try quick scramble! Heat up a pan, grease with butter stick, use that one handed egg smash technique, let the eggs cook a bit before you scramble them (trust me on this), season with salt, pepper, chilli powder etc and scramble. Serve with toast, wraps, fruit, salad, meats, potatoes… anything really. Feeling adventurous? 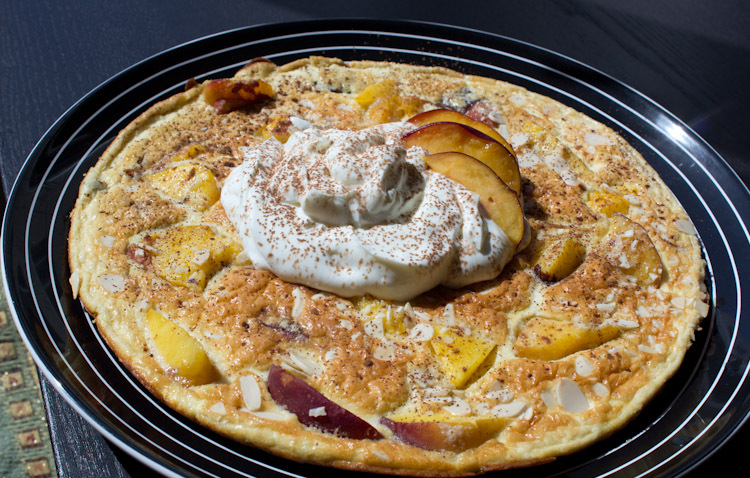 Try some healthy baking like our famous vanilla/chocolate protein pancake - pictured. ** So there you have! 5 6 foods that should be in everyone's diet. ← Hearty Omelette, surprisingly low calorie (Sub 500 calorie)!